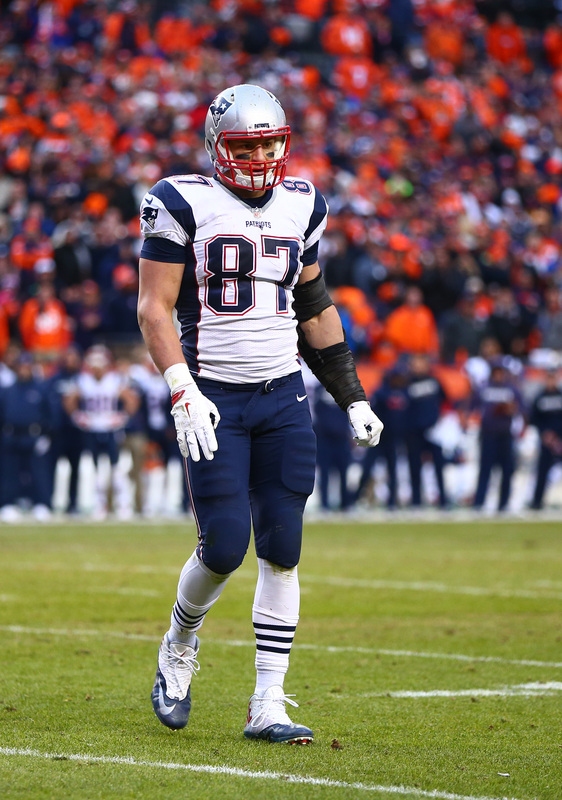 On Friday morning, Twitter became flooded with rumors of a potential Rob Gronkowski trade. However, it appears that Patriots fans can breathe easy. There is “zero truth” to rumblings of the Patriots trading Gronkowski, a source tells Tom E. Curran of NBC Sports Boston (on Twitter). At Pro Football Rumors, we typically do not go out of our way to address rumors from unsubstantiated sources, but the word of a potential Gronkowski trade has dominated the Twittersphere for several hours. Given the Patriots’ history of embracing the next-man-up mentality, a trade of the most dominant tight end in the game would be a surprise, but hardly an impossibility. Gronkowski stayed away for much of the Patriots’ voluntary offseason team activities this year in an apparent effort to have his contract reworked. His arrival in Foxboro this week seemed to signal that a resolution was on the horizon, but the two sides have yet to hammer out a revised deal. Gronkowski’s brief flirtation with retirement this offseason could also be a signal that the “Patriot Way” has grown tiresome for him. One source who has been with the Patriots for years told Curran (Twitter link) the team’s treatment of Gronk at the start of 2017 was similar to how other players have been treated before being dealt. Of course, that doesn’t mean a whole lot in and of itself, and the tight end was not traded last year. So, for now, we can put the Gronkowski trade rumors to rest. While major trades are more commonplace than ever in the NFL and Bill Belichick‘s methodology remains unpredictable, there’s no reason to believe that Gronkowski will be in another uniform in 2018. I mean why would you trade him with no replacement. If the Patriots had the two headed monster still and Hernandez never went off the reservation then sure. But trading him basically you’re saying I dont want to win a Super Bowl this year. Gronk is not some crumb bum that was made a HOF’er by Brady & NE. He’s too fast to be covered by LBs and too big for CBs. He’s a physical beast and brave to a fault, going up the middle again and again. He’s also a superstar because he’s a character. A goof. Albeit a talented one. He’d be great on any other competent team, but he’s an All-Timer because of those around him. So, Hollister would be a successor and probably be adequate in production, but they’d be mad to deal Gronk without having a name behind him on the depth chart. Gronk hasn’t started all 16 games since 2011. I wouldn’t be shocked if the Patriots trade Gronk while the going is good. 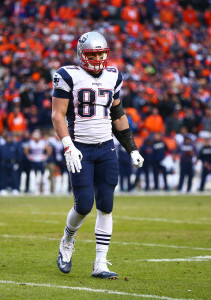 I love Gronk and he is a difference maker, but age and injuries aren’t always kind. Except for when they kept Brady over Garappolo. That would have blown up Pats Nation, but it was the right move for the long term health of the franchise. Plus Brady would have loved playing in SF. Why would Brady love to play in SF? Because he is gay and because he has long slow lip to lip kisses with his little boy? Because he grew up there, moron. Thank you for saying it so I didn’t have to. Potentially. Garapollo is one of the highest paid QBs while Brady is one of the least paid QBs. And Brady was last year’s MVP. If you are going to pay big dollars for a QB, you can always do it in free agency. Might as well keep MVP Brady and his affordable contract for as long as possible.